Love it! Perfect for Fall. I'm a big fan of Becoming Art yarn also. 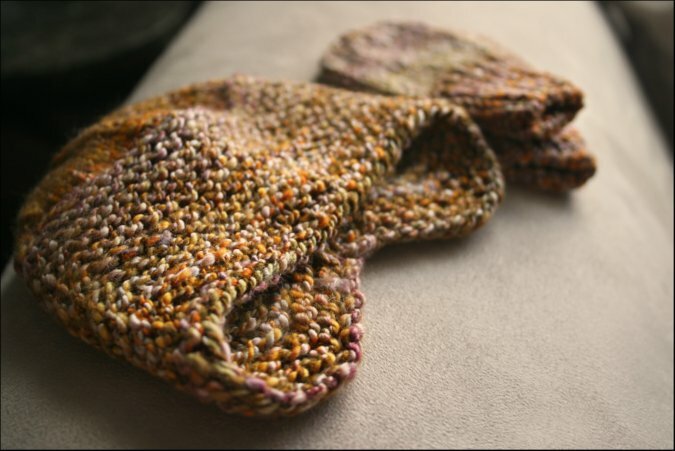 In fact, in my hands I am knitting up your Cosette Wrap in BA's Agave sport in Huckleberry and Pristinely Ungifted. another beautiful set of baby items. you better pop that kid out so we can see him modeling everything!! jk little guy, you can stay in there as LOoOoOoOng as you want. what an adorable little set!! And a perfect use for handspun. Your little guy is going to be super cute in that. I love it! The colors are beautiful. The flap construction sounds so cool and your FOs are so enticing! Your little guy is so spoiled! I love absolutely everything you knit for him! So much love!!! I am sooooo soooo happy to have found your blog. I had no idea you two self-published the book, great job! I know it's a lot of work. Best of luck with things over the next few weeks... that baby will be clad in some lovely knits! What a lovely way to spend time waiting for the grand arrival! He's going to be a very handsome young men in so stylish sweaters! I love the Bambeanies patterns. So cute! I wish you good luck, easy birth and healty family! 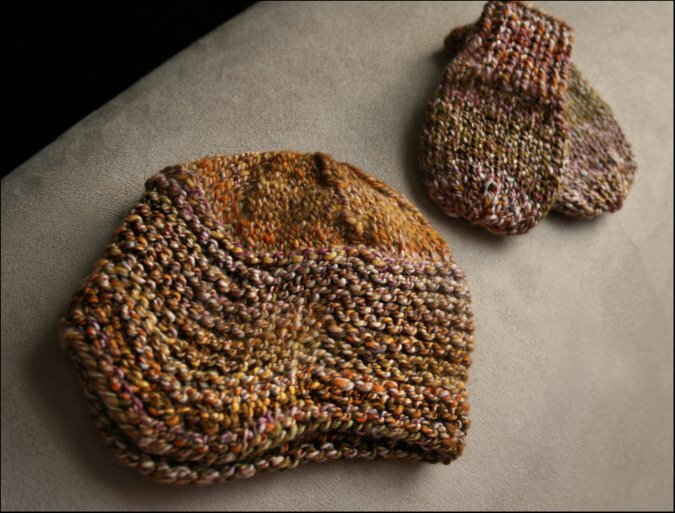 I am LOVING all the newborn knits...your colors and work are beautiful!